At the 2008 Alpena NAPCH Nationals I informed the General Membership of the problems we were encountering with packets from applicants for Trainer and Master Trainer. The membership agreed with the Executive Board that we needed to standardize the process, and adhere to it. In doing so I will soon be placing all the application forms on the webpage in a downloadable format. If you wish to apply you need to download and submit these forms with your packets to me. Also we have developed a checklist to aid in the completion of this process to assure you have everything required in a packet. The membership felt that if these packets were incomplete in any manner they would be returned to the applicant and the application would be denied for that year. The applicant can reapply in the following year’s process for consideration at that year’s nationals. There is also a due date for all applicants and any received after that date will also be returned and not considered for that year. The process is pretty simple and as such should be pretty easy for anyone to submit. 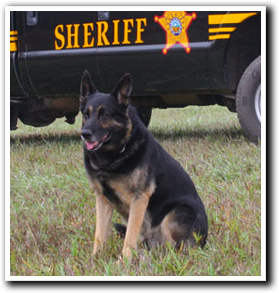 If you have any questions feel free to contact me, by email- algill@gillsgermanshepherds.com or by phone 419-568-9400 and I will gladly assist you if possible. The downloaded application form from the web site must be filled out correctly and submitted as part of the packet. You must provide the names (contact info and agency/firm they work for) of teams you actually trained, dates of training, area of training (patrol, narcotics, explosives etc). All packets must be post marked by September 1st of the year applying. You must attend the Nationals for an oral interview to be considered as well as the packet submission. You can now pay your NAPCH Member Dues online with a Debit or Credit card! Please make sure to read the details before submitting a payment.